Do you want to know how to brew better coffee at home? There are a few techniques that can immediately improve the quality of your coffee. 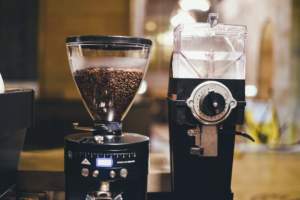 Whether you have your first coffee machine or you have splashed out, these tips will help improve the taste of your coffee. If you have taken our Barista Training Course then Tracy may have told you a few of her secrets, but for those yet to take our course, here is a sneak peak blog post! Here are seven tips for making your drip coffee taste a whole lot better. A cup of coffee is only as good as the beans you start with. If you’re buying bags of preground coffee from the supermarket, stop! you’re doing it wrong. Instead, start with fresh, whole beans. There’s a reason if they don’t provide the date for when the coffee was roasted; the stuff you find on the shelf in the supermarket has probably been there for months. Coffee reaches its peak flavour just days after it has been roasted and should be consumed within a month of its roast date. 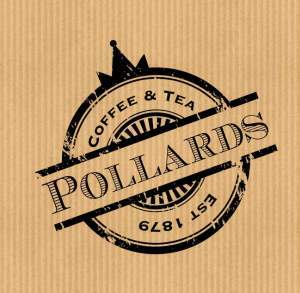 All of our Pollards coffee is freshly roasted, clearly labelled and shipped to you promptly. We don’t leave coffee on the shelves and our whole warehouse is turning over constantly. Check here for a list of all available coffee, you can even buy online and it will be shipped directly to you! If you do have stale beans then find out what you can do with them in a previous blog post here. Store your coffee correctly and you’ll keep its flavour fresh for as long as possible. 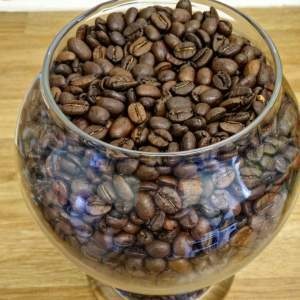 To keep the coffee you buy fresh for longer, make sure you’re storing it properly. Vacuum sealed is best or a container with a one-way valve. If you can’t vacuum your coffee beans then a standard Mason jar will suffice. The idea is to keep oxygen out of the bag to preserve the flavours. Some people freeze coffee beans, if you do this then be careful not to allow the moisture inside the container and thaw properly before opening the container. Grind your coffee at home immediately before brewing for maximum flavour if you can. Coffee begins to lose its flavour immediately after being ground. This is because the coffee has more surface area. This being the case, it is best to grind on the spot, just before brewing. Grind size and consistency matter quite a bit when it comes to flavour too. Grind too coarse and you will have a weak pot of coffee. Grind too fine and you will over-extract the coffee. Most drip coffee makers call for a medium to medium-fine grind. You can purchase coffee grinders at all price points so shop around for ones which suit your needs and budget. Making better coffee at home is all about eliminating variables, and one way to do that is to use the same amount of coffee per unit of water each time you brew. Using a digital scale to measure takes just a second and allows you to better compare how much coffee and water is used each time. It’s up to you to decide what tastes best, which is much easier to do (and replicate) once you remove all the guesswork. Chances are, your drip coffee maker skips a crucial step. Most automatic coffee makers don’t properly prepare the coffee grounds for full extraction. 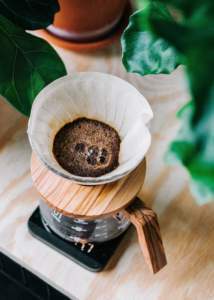 Manual pour over cones (which are not unlike automatic drip machines) call for a preinfusion or bloom. To do this you simply prepare the coffee by pouring a little hot water over the grounds. This helps to release any remaining carbon dioxide gas left over from the roasting process. Skipping this step allows the carbon dioxide to repel water during part of the brewing process, effectively making the brew weaker. To preinfuse your coffee, insert a filter into the hopper and add your coffee grounds. Slowly pour some heated water over the grounds, making sure to thoroughly wet all of them. Let this sit for approximately 45 seconds before starting the coffee maker. Many automatic drip machines don’t reach optimal brewing temperature. Another step many automatic coffee makers skip is reaching optimal temperature. The desired brew temperature for drip coffee is between 90-95 degrees celcius. Newer, high-end models tend to have a manual temperature adjustment, but older, cheaper makers do not, so it is worth checking. To make sure your coffee maker gets hot enough, run it through without any coffee in the hopper and use a thermometer to measure the temperature. If you can, try to measure the temperature during the brewing process, as the water temperature will drop as it passes through the hopper. If it never reaches at least 90 degrees, see if pre-boiling your water in a kettle helps. Keep in mind, however, you do not want to exceed 96 degrees, as it will “burn” the coffee. If you’re using a kettle, simply boil the kettle then allow a minute for the water to cool before pouring. The quality of the water you use when making coffee at home is so important. When it comes to making a good tasting cup of coffee, the water can’t be overlooked. Using hard water that’s full of minerals won’t bond well with the dissolved particulates from the coffee, leading to an under-extracted, weak coffee. Not only that, this higher mineral content is what also leads to buildups in your coffee maker, such as lime deposits. This will require you to descale your coffee maker more often. On the other hand, heavily filtered or distilled water can be just as destructive for your equipment. While it doesn’t cause as much buildup, it can degrade the machine’s performance over time. Plus, with more room for bonds, distilled water can easily lead to over-extraction. You want water that’s roughly in the middle of the spectrum, with a mineral balance of approximately 150 parts per million. 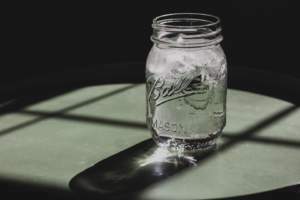 For the casual drinker lightly filtered water (from a water filter pitcher or a refrigerator’s filtered water) will suffice. ..and there you have it! Those are some of our top tips for making great tasting coffee at home. If you have any other suggestions on how to brew better coffee then comment below or find us on social to share! If you enjoyed this blog and want to learn more about how to brew great coffee at home then get in touch. We can offer you a Barista Training Course with an in depth walk through of all the equipment, how to make coffee, origins and even teach you latte art! This course can be for beginners all the way through to coffee shop owners and experienced baristas. You can also tour our roastery here in Sheffield. This course is a great gift or experience for coffee lovers.